The lock screen is very useful when it comes to the safety and security of your iPad. It can not only protect your private data but also give you quick access to a lot of features in iPad. However, it is not useful in all the cases and for everyone. Therefore, there may need to turn off lock screen on iPad. Forgot passcode for your iPad lock screen? No worries, you can get into your iPad or turn off the lock screen without passcode. The easiest and most recommended way to realize it is using iMyFone LockWiper. It's an iPhone/iPad passcode bypass tool that allows you to solve any inconvenience with lock screen. Remove iPad lock screen without passcode in a few clicks and in a few minutes. 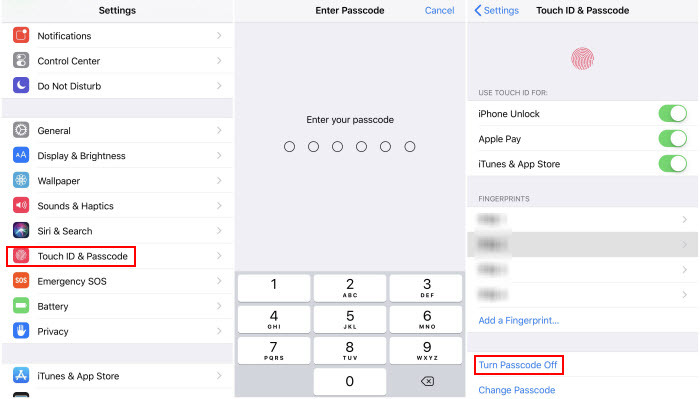 Help you get into iPhone/iPad/iPod touch without passcode when it's disabled or locked. 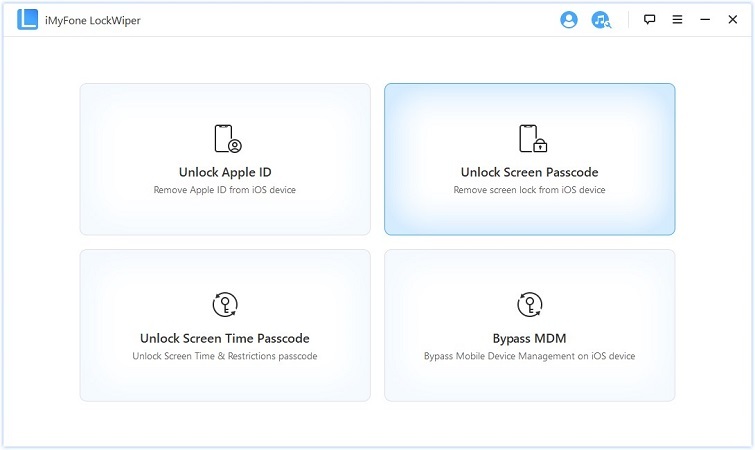 Not only remove lock screen, but also unlock iPad from any iCloud account without password. Advantages: easy to use, fast to complete and high success rate guaranteed. Step 1: Install LockWiper on your PC or Mac, and launch it. Then connect your iPad. Choose "Unlock Screen Passcode" from the home interface. 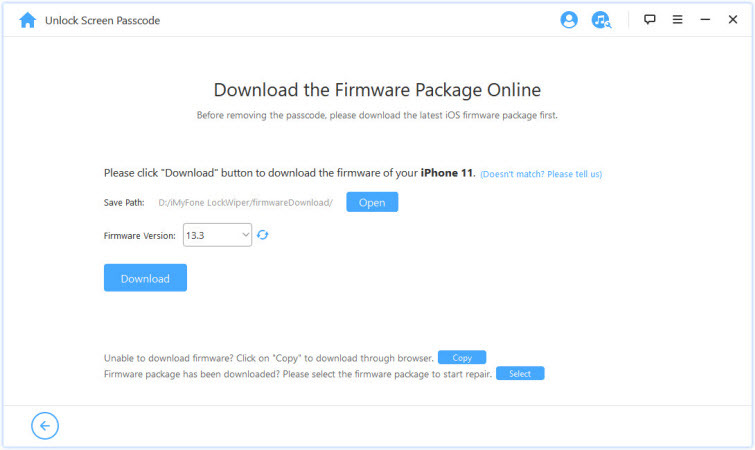 Step 2: Click "Start" and then "Download" to get a firmware package for your iPad. Step 3: When it completes to download and verify, click "Start to Extract". Step 4: Then click "Start Unlock. To start the unlocking process, just enter "000000" into the box and click "Unlock" to confirm. 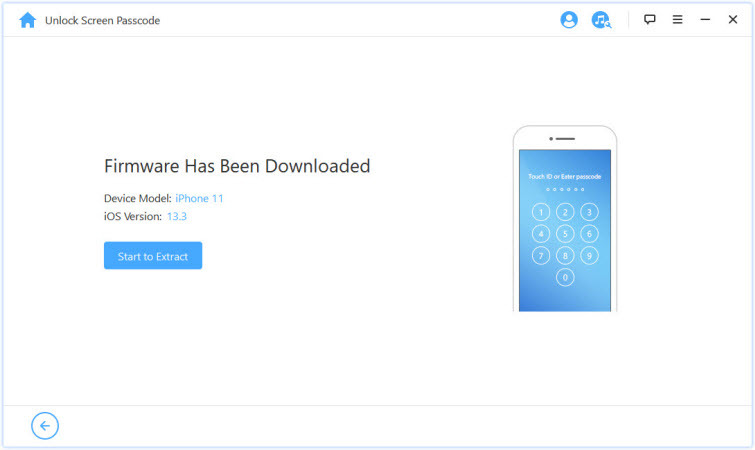 From the home interface of iMyFone LockWiper, you may also see the "Unlock Apple ID" mode. This is specifically developed to unlock iPad from Apple ID without password. 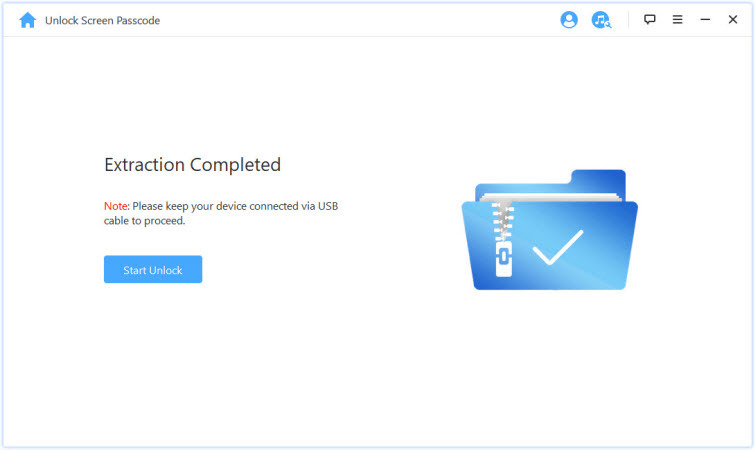 After unlocking, the iCloud account and Apple UD will be removed from your iPad. You can switch your iPad to a new iCloud account and enjoy everything. Your iPad won't be linked to the previous account. When you turn on lock screen feature on your iPad, you protect it usually with a passcode which is an amazing feature. However, you will have to put the passcode every time to turn on your phone. It means this feature can give some a hassle sometimes. So how would you solve this problem? Here is the solution for it. Step 1. Go to Settings app on your iPad and click on Touch ID & Passcode. Click on Face ID & Passcode if you are using iPad X. Step 2. Then, you'll be asked for your passcode. Enter it. Step 3. Now click on Turn Passcode Off button to turn off your passcode as well as lock screen. Now, you won’t need any passcode to use your phone which means no lock screen. It doesn’t matter whether you have turned screen lock on or off, you can easily use the quick access of messages from your screen. It means you can view your messages directly from the lock screen. It is an amazing feature. However, if you don’t want to show them, you can hide message notifications from the lock screen. Here is how you do it. Step 1. Begin the Settings app on your iPad and go to Notifications panel. Step 2. Now click on Messages option and tap the Show Previews option. Step 3. Now click on the Off button to turn off message notifications. Step 4. If you want to turn off the message previews too, click on the Show on Lock Screen button to toggle it off. Apple iPhone has some of the most amazing features including the lock screen shortcuts. These shortcuts are very useful, and you can save a ton of your time with them. But what if you don’t want some of them. For example, if you don’t want someone else to use your camera, what would you do? Today, we will explain you how to disable the camera on lock screen iPad. Step 1. Firstly, open Settings app and go to the General tab. Step 2. Now click on the Restrictions button. Step 3. Here it will ask for your passcode. 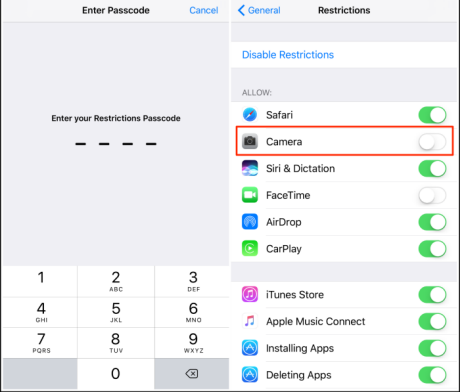 Enter your passcode here to enable restrictions on your iPad. Step 4. Now you will see different options. Click on Camera to toggle it off. Now the camera shortcut is disabled from your lock screen.